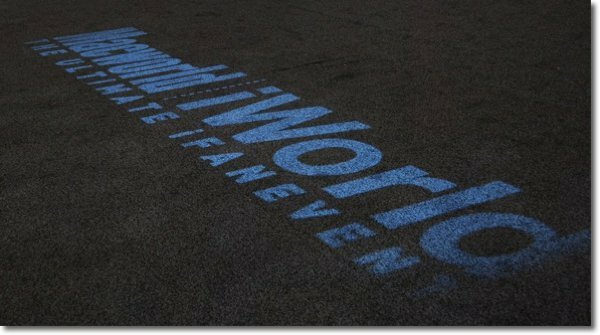 SAN FRANCISCO: The third Macworld | iWorld without Apple at the Moscone Center has concluded, and here’s a variety of the gadgets and apps that were being shown off on the expo floor. One hard to miss product was the Doxie Go. 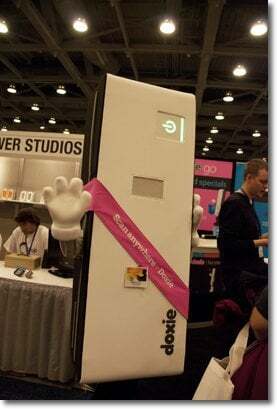 It was demonstrating its new scanner, the Doxie Go + WiFi. It builds onto the portable scanner they previously offered and adds WiFi syncing capability. Now you can scan documents and photos and send them to your computer, iPad or iPhone wirelessly, or directly to the cloud. It also has internal storage to save scanned images until you are able to connect to WiFi to sync them. You also can store scans to an SD card. The Doxie Go is $199, the Doxie Go + WiFi is $239. Another neat product is Dolly Drive, an all-in-one cloud backup, storage and file sharing solution. It works in conjunction with Apple’s Time Machine, so you can continue to back up to a local drive with that in addition to backing up off-site in the cloud. Plans start as low as $5 a month for fifty gigs of space, and go as high as two terabytes for $40 a month. You can get the cost down the further ahead you pay for the service up front. The company just announced the new family plan, which allows multiple macs to back up and share files. Another cool thing about Dolly is it gives you five more gigs each month as a reward for having an active account. App Creation Network was showing off its latest app, Cinefy — A video editing app designed for iPhone, iPad and Android. It operates much more like a traditional video editing application unlike iMovie. It’s claim to fame is special effects and killer title sequences, and comes with access to 500,000 songs that are copyright cleared so your video won’t get pulled off of YouTube or Facebook. It should be hitting the app stores in two months, and we expect it to cost $3 or less. Lark was showing off an interesting concept — a silent alarm clock. You wear what looks like a watch, and instead of waking you with loud buzzing or bright lights, it vibrates on your wrist. 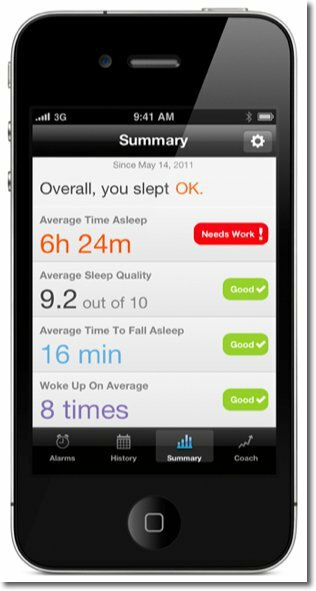 It comes with a free app for iPhone and iPad that uses the device to monitor how well you slept. The device costs $99 from Lark.com. 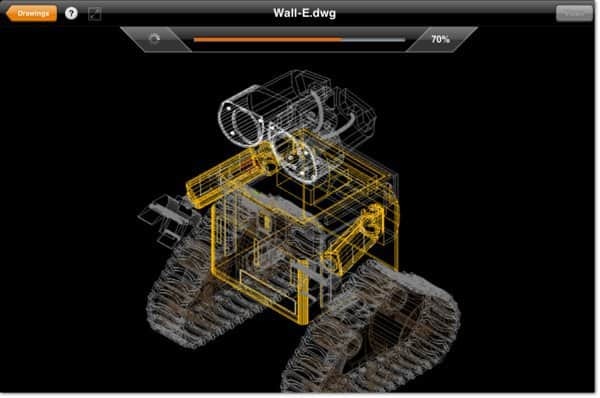 IMSI Design, the makers of TurboViewer, was showing a preview of an app expected in the coming months called AngryCAD. It plays off the AngryBirds concept but instead of destroying pigs, you destroy your own buildings. The app imports your CAD project, you get to apply some physics properties to it, and then you shoot at your building until it comes crumbling down. It will be free for iPhone, iPad and Android. 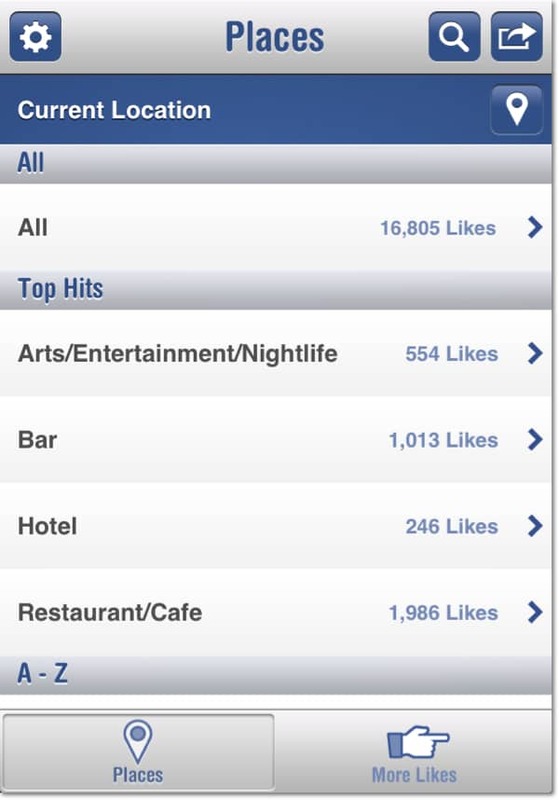 WillowTree apps had its brand new app that just launched three days before Macworld called Likes. It provides recommendations using what your friends have liked on Facebook for various places to go, activities to do, and more. If you’re not getting many results from just your friends, you can have it look in your extended network — friends of friends. The more friends you have on Facebook, the better the chance you’ll get recommendations even when visiting a new place. The app is available for free on just the iPhone now, although plans for an iPad app are in the works. One application being shown that caught my eye was SuperSync. This will keep your iTunes library in sync across all of your computers. This particularly comes in handy if you want to recover music from an iPhone or iPod that’s bound to an old computer’s iTunes library. It also uses a color coded system so you can see what files need to be merged or copied over and what ones are already there. It costs $35 and runs on Mac and Windows. OrigAudio was demonstrating a mind-blowing product — the Rock-It 2.0 Portable Vibration Speaker. It will turn “anything into a speaker”. 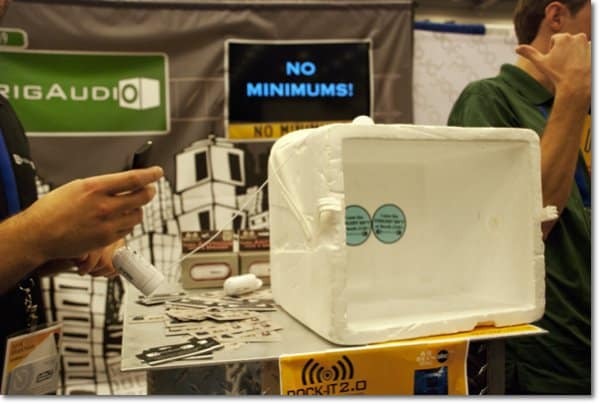 Company reps were showing a styrofoam cooler at its booth, and they simply put the small circular pod (as they called it) onto the ice box and you could immediately hear whatever was playing on the iPhone or iPod as if that ice box were a speaker. It connects to your device with a standard headphone jack so it will work with nearly anything. It also winds up into a small tube so you can carry it easily in a pocket. The sound quality isn’t the greatest, as you might expect, but it does work. It is available now for $50 through origaudio.com. Continuing with the theme of dropping your i-devices, iBallz gives your iPad big round bumpers on the corners so it won’t break when dropped. It’s especially useful for education with younger kids who may be throwing them around a lot. It comes in a few different colors, and costs $19.95 from iballz.info. 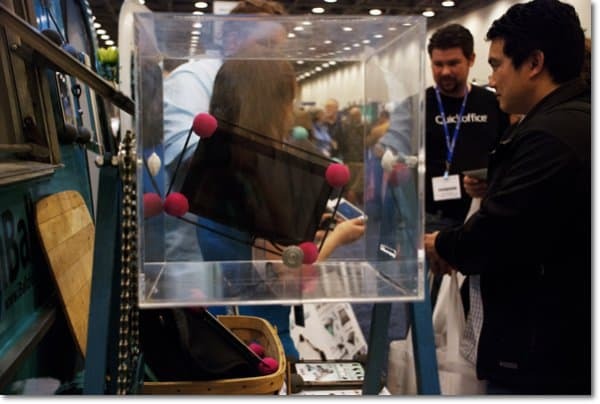 These are just some of the many products being shown off at Macworld | iWorld 2012. Did you get to attend the expo? If so, what were your favorite things about it? Let us know in the comments. I learned a lot from your article, and would love to purchase some of the products you listed. The pictures were great! 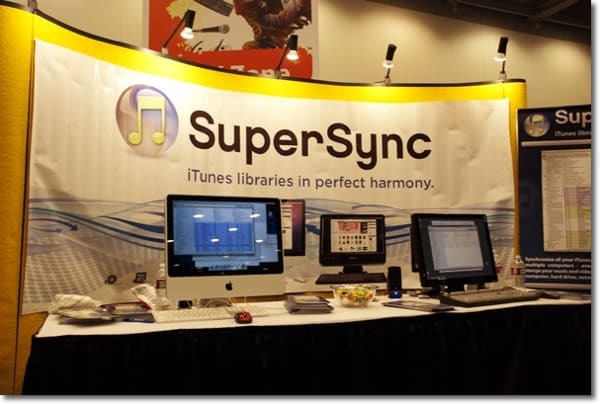 SuperSync sounds pretty cool — but kind of expensive. I guess it fills in where iCloud doesn’t? I wonder if there’s a hack you could use with Sugarsync or Dropbox to keep your iTunes library in sync…. sounds like a groovy tutorial honestly. Lark is pretty sweet. Although I have been keeping my eye on the next release of the Jawbone UP. (http://jawbone.com/up) It has that same feature I think, except it keeps stats on various health/bio readings and also reminds you get up and move around once in a while. Same price, but for some reason no longer available until they produce more I guess.